Basic industry is the introduction mod in a series of technology mods planned by BBM. With that in mind, it provides the common functionality of other mods as well provides a new take on functionality. As already noted this mod is roughly the same but takes a new approach to functionality. So you may be asking "Whats the different from other mods?". Most mods provide standard machines that have little to no upgrade potential. This results in almost no customization and most machines are set up in the corner only be used for ores. Basic Industries takes a different approach to machines by providing the most customization as possible. This includes being able to change the machine's core from a grinder to a crusher and picking the size of the slots in the GUI. Say for example you want to make a single machine that can be left running for an hour. Then you can slot in large inventory modules to get up to 40 slots of inventory for the single machine. At the same time, you can change the power system using RF power to running off of straight coal if you want something portable. There are several more mods planned as both standalone and addons to this mod. Namely the rewrite of Atomic Science and the revive of Resonant Induction type content from the old UE mods. Tier 1 1/2 furnace - early game furnaces with improved functionality. 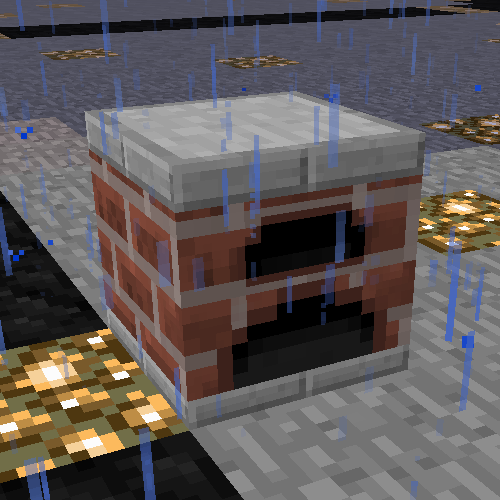 For example, brick furnace that contains 2x more slots and can process two items at a time.